Boulevard Films Pty. Ltd. 1990. Director: Pino Amenta. Music: John Capek. LP	(ST)	Boulevard. 466451 1. (CD/CA 466451 2/4). 1990. Music: John Capek. Album Produced: John French & David Herzog. Executive Producers: Frank Howson & Peter Boyle. Engineered: John French. Assisted: Mark McDougall. Special Thanks: David Holloway, Lynn Howson, Belinda Williams, Barbi Taylor, Adrian Button, Colin McLean, Deborah Samuels, Anne Cashin & Annette Neville. Heaven Tonight (1968 version). (3:51). (Frank Howson/Alister Webb). v: John Waters. Guitars: Chris Copping, David Herzog & Chris Stockley. Bass: Chris Copping. Drums: Trevor Courtney. Backing Vocals: Ronnie Charles, Chris Stockley & Steve Wade. Produced: Chris Copping. Engineered: Martin Pullan. Remixed: John French. Boulevard Music. Call Of The Wild. (3:34). (Frank Howson/John Capek).v: Guy Pearce. Greg Hine, Steve Wade & Mal Stainton. Published: Boulevard Music/Balmain Music. (Frank Howson/John Capek). v: Guy Pearce. Arrangement & Programming: David Herzog. Guitars & Solo: David Herzog. Drum Programming: Trevor Courtney. Backing Vocals: Mal Stainton & Steve Wade. Published: Boulevard Music/Balmain Music. (Frank Howson/Ken Firth). v: John Waters. Guitars: David Herzog. Bass: Roger McLaughlan. Drums: Trevor Courtney. Backing Vocals: Mal Stainton, Steve Wade. Published: Boulevard Music/Control. Do It To Me. (3:44). (Machinations). v: Machinations. (Fred Lonergan). Vocals: . Keyboards: Tony Starr. Bass: Nero Swan. Guitar: Tim Doyle. Drums: John Mackay. Produced, Mixed & Engineered: Andy Wallace. Assisted: Dana Becker & Abdu Mahali. Published: Mushroom Music. Heaven Tonight (Piano Theme). (3:45). (Frank Howson/David Scofield). v: John Waters. Arrangement & Programming: David Herzog. Guitars: David Herzog. Backing Vocals: Mal Stainton, Steve Wade & Greg Hine. Radio Announcer: Frank Howson. Published: Boulevard Music/Control. v: Guy Pearce. Arrangement & Programming: David ‘The Works’ Holloway. Published: Boulevard Music. Down On Down On Down. (Frank Howson/Beeb Birtles). v: John Waters. Arrangement & Programming: David Herzog. Guitars & Slide: David Herzog. Backing Vocals: Mal Stainton & Steve Wade. Published: Boulevard Music/Songskill. (Suzanne Haworth/Tony Wilkinson). v: Guy Pearce. Arrangement & Programming: David ‘The Works’ Holloway. Guitars: David Herzog. Backing Vocals: Mal Stainton & Steve Wade. Published: Boulevard Music. (Mike Rudd). v: W.H.Y. (Mike Rudd). Bass: Bill Putt. Guitar: John Moon. Sync Tone: Weird Harold. Moog Bass & Additional Keyboards: John Capek. Produced: John Capek. Engineered: Thomas Stiehler. Remixed: John French. Published: Boulevard Music. (Frank Howson/Alister Webb). v: Guy Pearce. Arrangement & Programming: David ‘The Works’ Holloway. Guitar: David Holloway. Guitar Solo: Jim Hocking. Cymbals: Paco. Backing Vocals: Guy Pearce, & David Holloway. 45/12 (ST) Boulevard. 655322 6. 1989. “CALL OF THE WILD”. Executive Producers: Frank Howson, Peter Boyle. Assistant Engineer: Mark McDongall. (* Taken from the CBS soundtrack album). Produced by John French, David Herzog. Remix & Concept: John French. Additional Programming: David Herzog. Backing Vocals: Greg Hine, Steve Wade, Mal Stanton. Fighting Sluts: Fiona Schneider. Sarah Mitchell. Fighting Dudes: John Savage, Guy Pearce. Street Kids: Guy Pearce, David Herzog, Justin French, Michael Letho, Mark McDougall. Produced by John French, David Herzog. Engineered: John French. Arranged, Programmed & Guitar: David “The Works” Holloway. Backing Vocals: Greg Hine, Steve Wade, Mal Stanton. “Journey”. (This track does not appear in the film). (Guy Pearce). v: Guy Pearce. Produced by John French, David Herzog. Arranged: Guy Pearce. Programmed: David Herzog. Bass Guitar: Roger McLachlan. 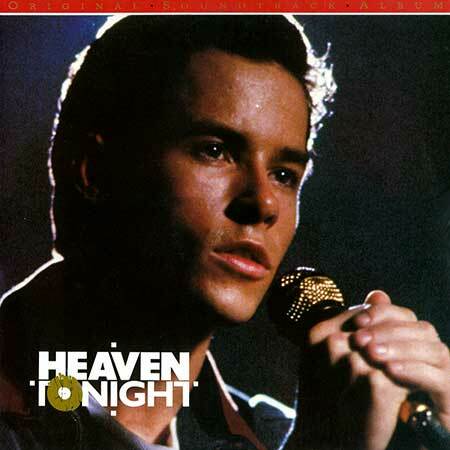 All Vocals: Guy Pearce. (Frank Howson/Alister Webb). Peter Jones.